The use of artwork takes pride of place in Kodi. The artwork will transform your mundane media player into a showpiece to be proud of, especially when teamed up with your favourite skin. 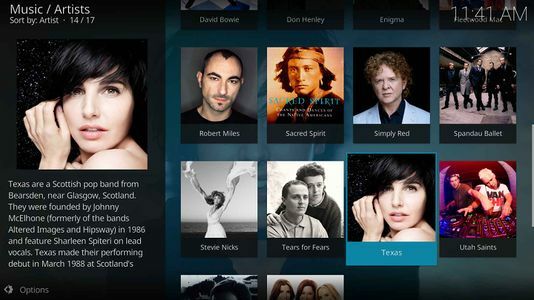 Kodi will allow you to display Movie Posters, Fanart, Album Covers, Actor and Artist images to name a few. Install the Kodi slideshow add-on, and you will have a constant display of video or music fanart to brighten your entertainment room. As the topic covering artwork is comprehensive, it has been broken down into smaller and more manageable pages for ease of reading. Choose the subject that interests you to obtain further information. Information common to all categories is located on this page. Specific category details are located on linked pages. Be aware that artwork is skin dependent. Not all artwork types are used in all skins. Kodi's support for artwork types to represent media items is very flexible: Any number of artwork can be added to a media item with free-form names that have only a few rules. 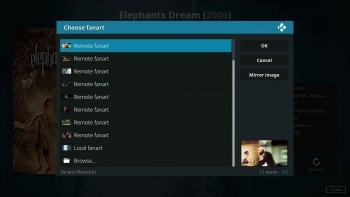 To view all art types that are already assigned in your Kodi library for any particular media type, use Kodi's built-in Choose Art dialog on nearly any item in the library (movie, TV show, episode, so on), and the list of artwork types shown on this window are assigned to at least one media item of the same type. 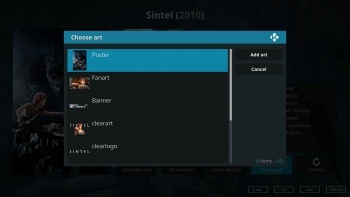 Some common types of artwork are "fanart", "clearlogo", "landscape", "banner", and "poster"
Starting with Kodi 18, there is a whitelist configuration for artwork types to be added automatically. This whitelist applies to all artwork added automatically by Kodi, either when scanning in local files or scraping from online sources. This allows you to share one media file library with a full artwork selection and configure individual Kodi clients separately based on processing power, skin selection, or client-local storage space (the local artwork cache takes up the most space of all Kodi running data). It is currently configured with advancedsettings.xml for the video library and for the music library. Movie, TV Show and Music artwork can be obtained using a variety of methods. The most common method is via the Kodi scraper. There are many other scraper information sources, but most are specialist listings for foreign language movies or Disney movies, for example. The Video scraping process is reliant on your local directory and file names being named in accordance with the title listed at the scraper site. To ensure correct naming, simply visit the website, search for your title, and copy the title from the site and paste into your directory/filename. The Music scraping process is reliant on correct file naming and music tags. Kodi will then match the video or music and download all relevant metadata and artwork. It is important to note that if you already have correctly named artwork in the video and music folder, then Kodi will scrape the local artwork and ignore the online source. Metadata will still be downloaded though. If you subsequently locate artwork that is preferable, it is possible to replace the Kodi selected artwork. Refer to paragraph 2.1 below. There is a range of software that can create nfo files and download artwork and save them to the correct location and correct naming. They perform the same process and function as the Kodi Scraping operation does natively, but they do not add any entries into the Kodi library. Instead they create what is known as NFO files. This file holds all the metadata for that particular movie, tv show or music. The software will also download associated artwork from the scraper site. Kodi can then read this file and scrape it into the library along with the artwork. Although these programs are quick and easy to use, they are more suited for use where a movie or tv show is not listed at the scraper site. You are then able to create the metadata from scratch. You would normally use this for, say, home movies, sporting events or other items that are not listed at the scraper site. It is always best to use Kodi for the normal mainstream scrapes and the Media Managers for the non-listed movie, tv show and music scrapes. Using an online search engine can help you discover individual artworks, or additional sites where artwork is hosted. When downloading, check that the resolution is of an acceptable standard. Also pay respect to any copyright notices that are attached to the artwork. Once downloaded, they must be named and saved correctly for the artwork to be visible to Kodi. So you are not happy with the artwork the scraper downloaded? And you just can't find that perfect artwork by manually searching the internet. Then, you will just have to create your own. For those who are artistically minded and can easily navigate around image editing software, then you should be able to easily create your very own user-defined artwork on your computer. Only your imagination is the limit, but be mindful that the artwork needs to remain true to the movie or tv show it represents. If you are unsure where to start, the following links may prove useful. Especially if you plan to share your masterpieces. If this is the case, it is best to stick to the posted guidelines. The MovieDB- The go to movie scraper site for Kodi. In addition to metadata, they also hold a large repository of artwork that are created and uploaded to the site by people just like you. Read their easy to understand artwork creation guide. 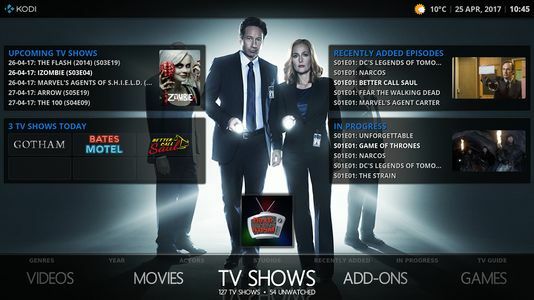 The TVDB- The go to TV Show scraper site for Kodi. In addition to metadata, they also hold a large repository of artwork devoted to TV Shows. Read their easy to understand artwork creation guide. IMDB- A comprehensive listing of ensuring artwork is appropriate and suitable. TheAudioDB- The go to scraper site for all things music. 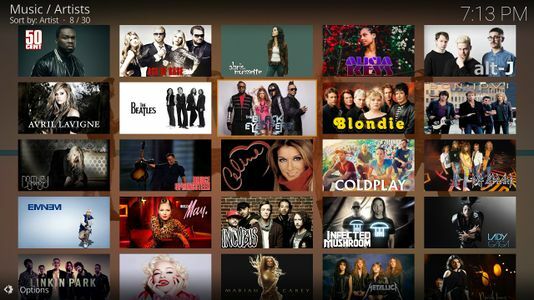 They hold metadata on Artists, Albums and Songs with a large collection of music artwork. This section does not apply to the Kodi scraper or any other add-on scraping process. It only applies to artwork you have manually sourced and saved. When performing an Update Library or Scrape, Kodi will always use Local Artwork first if it exists. 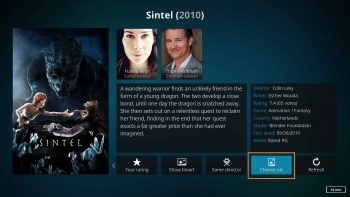 If there is no local artwork, Kodi will obtain the artwork from online sources. Scrapers and NFO files can include multiple images for a single type of artwork. The first image will be assigned to the media item for skins and other interfaces to access for display, and the full list will be saved for the "Choose art" dialog, where you can select a new image for any art type. From within Kodi, you have the ability to manually change the artwork at any time by following these directions. Highlight the media item whose artwork you want to change. For seasons and movie sets the "Choose Art" option is in the Context menu. If the type of artwork you would like to change is not listed, use the Add art type button to add it. An onscreen keyboard will be displayed. Enter the new type of artwork and select Ok. Choose Refresh as seen in Image 1. Movie artwork are images directly related to a movie or movie collection / set, preferably of high quality, that are displayed when viewing the movie or collection entry in the library. 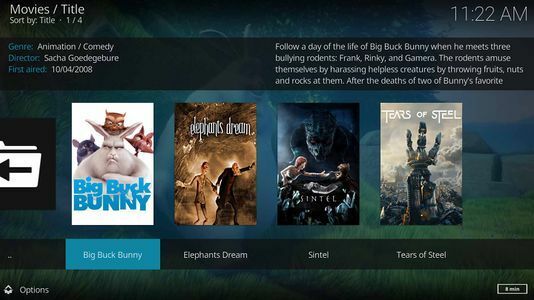 The artwork support in Kodi's video library is very flexible and able to display many types of artwork, but this page will describe the types of artwork readily available for the Movie library of Kodi. TV Show artwork are images directly related to a TV Show, preferably of high quality, that are displayed when viewing the entry in the library. The artwork support in Kodi's video library is very flexible and able to display many types of artwork, but this page will describe the types of artwork readily available for the TV show library of Kodi. Music artwork are images directly related to an artist or an album, preferably of high quality, that are displayed when viewing the album or artist entry in the library. They may also be used as visualizations while playing music. The artwork support in Kodi's music library is very flexible and able to display many types of artwork, but this page will describe the types of artwork readily available for the Music library of Kodi. Music Video artwork are images directly related to an Artist or an Album. The images are, preferably, of high quality, that are displayed when viewing the Album or Artist entry in the library. The Music Video section in Kodi is able to display four types of artwork. This page will describe the different types of artwork available in the Music Video category of Kodi. 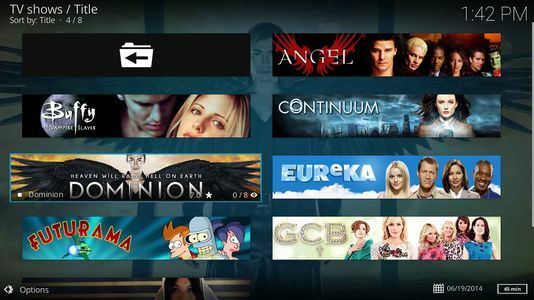 Kodi provides the ability to insert the Logo of your TV Stations which then becomes visible in the program guide, on-screen displays and all channel listings, making it easy to distinguish each channel. There is no user definable artwork for the Pictures section of Kodi. The following add-ons allow you to display your movie, TV show and music artwork. Want to do more with all that wonderful fanart? Install this Kodi screensaver. Just like a screensaver on computers from yesteryear, the Kodi screensaver will produce a slideshow of your Movie and TV Show fanart, or set it to display your Music Fanart. Don't like either of those? Then setup a directory with your own pictures and it can produce a screensaver from your selection of photos. There are a number of ways to maintain and improve Kodi's handling of the artwork. 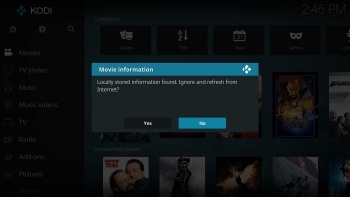 Kodi maintains a texture cache on local device storage for all artwork displayed in the GUI, whether from an online source or the local file system. These textures are optimized and stored locally for faster loading. When artwork is added to the library, Kodi initially only has a URL or path to the artwork. The artwork itself is only downloaded (if from an online source) and then cached when the image is displayed in the GUI or other interface such as the Chorus web interface. After years of use, it is expected that your system will gather some clutter- that being either orphaned artwork files or corrupted artwork which will not display. Texture Cache Maintenance utility is a python script created by MillhouseVH, that can do a number of artwork related maintenance on the Kodi library. The script can be used to pre-generate thumbnails, clean up old thumbnail files, find corrupted files, and much more. The script can work on any OS that can run Python 2.6 or higher. There are certain scenarios where attempting to replace existing artwork with new artwork, you may experience Kodi refusing to load the new artwork. This occurs when replacing one artwork with another artwork having the same name. eg replacing poster.jpg with a new poster.jpg. 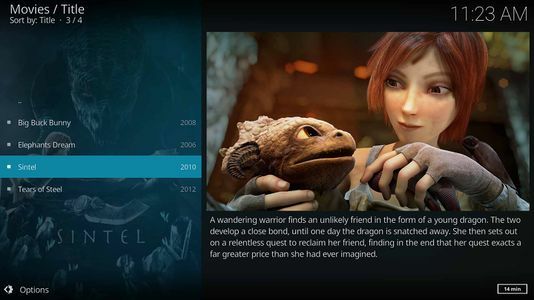 Kodi has basic support for displaying animated artwork, and two artwork types have a decent collection of animated options: posters and fanart for movies. 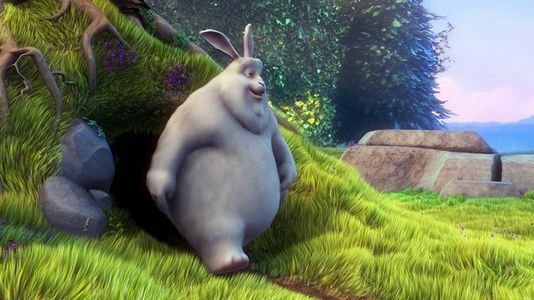 The most comprehensive support for animated artwork is Skin Helper Service, which has taken to naming these as "animatedposter" and "animatedfanart". New animated movie posters (and textless posters / keyart which could be named "animatedkeyart") are often posted to this forum thread. Kodi's support for displaying animated artwork is basic, and does have some limitations. Number one is a hard limit on the number of pixels in a single animated artwork. The size of animated artwork is limited to roughly 12 frames of 1920x1080. This limit is defined as fully decoded pixels. The trend for animated posters is for smaller images with more frames (a recent "animatedposter" is 500x713 with 60 frames). Kodi will discard any remaining frames after it has reached this limit, which will probably hitch unpleasantly, so obeying this limit is important. Number two is that Kodi doesn't save animated artwork to the texture cache and will not play them (only displaying the first frame) unless they are stored on a client-local file system. The primary usage of artwork is to be displayed, and to that end, they can be accessed by name in skins and over JSON-RPC. This page was last edited on 23 March 2019, at 18:50.